Weddings are often the biggest staged events of our lives, but once the day is over it can start feeling like a distant memory much too soon. Wedding photography is the one saving grace, but sometimes we tuck those digital photos or albums away, rarely to be enjoyed again. 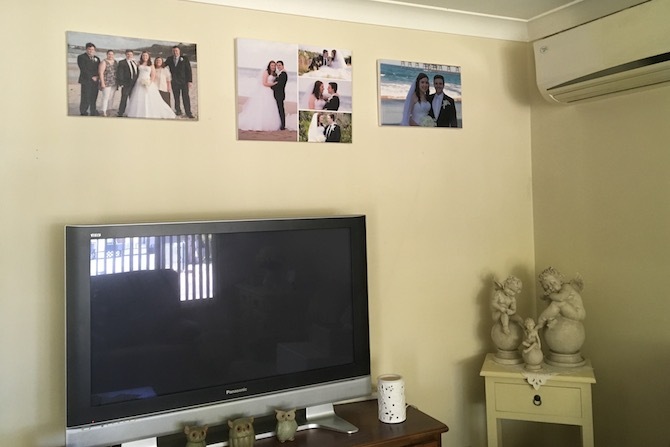 Printing your wedding photos onto canvas, glass or aluminium to display as wall art in your home is a wonderful way to honour that special day – and wedding collages are a beautiful way to tell a story of your wedding day. They’re also terrific for when you have absolutely no idea which photos to choose. You can just choose them all! 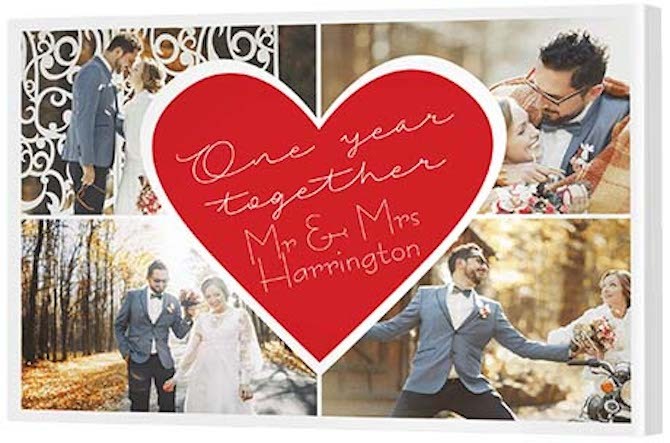 Explore 17 collages that will inspire that loving feeling day in, day out, including real life inspirations from our own Canvas Factory customers. Traditional, in this sense, doesn’t mean ‘boring’ or ‘plain’. 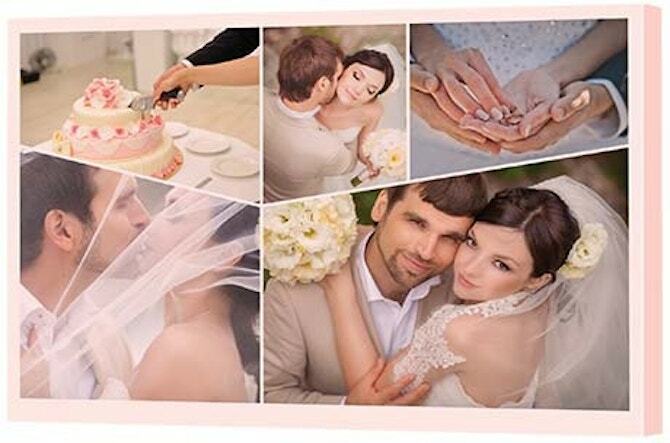 It’s simply the name for the style of collage template we offer. 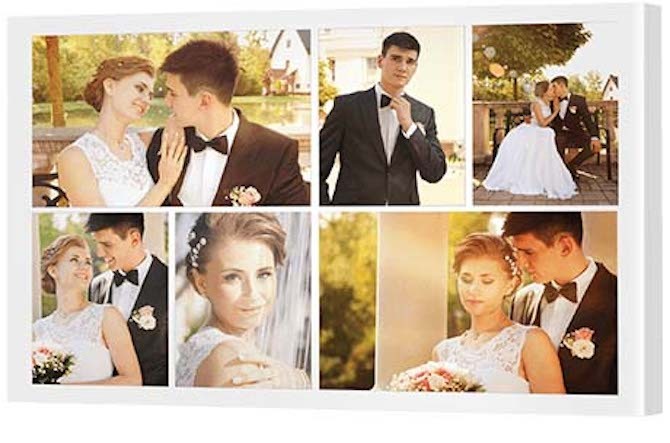 Each of the frames are completely blank, giving you the opportunity to include any photo or graphic you like into the collage. 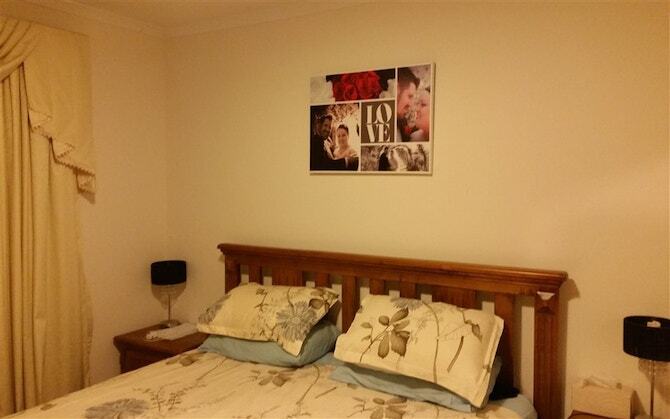 Traditional collages also give the opportunity for the photos to speak for themselves without any frills. 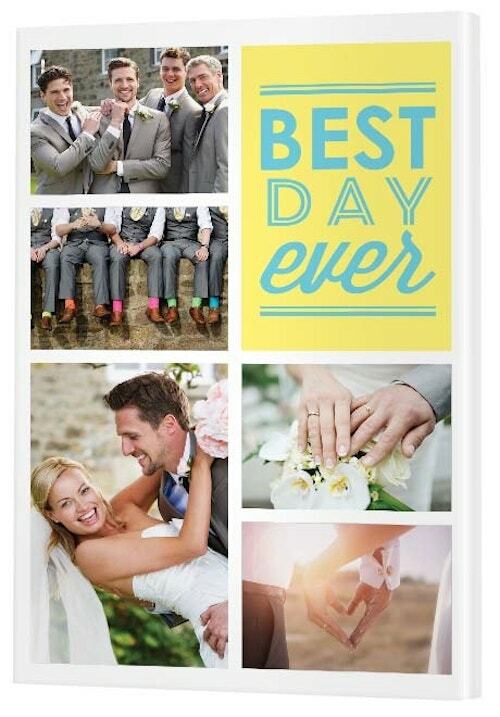 This is particularly useful if your professional wedding photographer has captured endless amazing options of your day. The key to creating an amazing collage is to not print the collage too small. 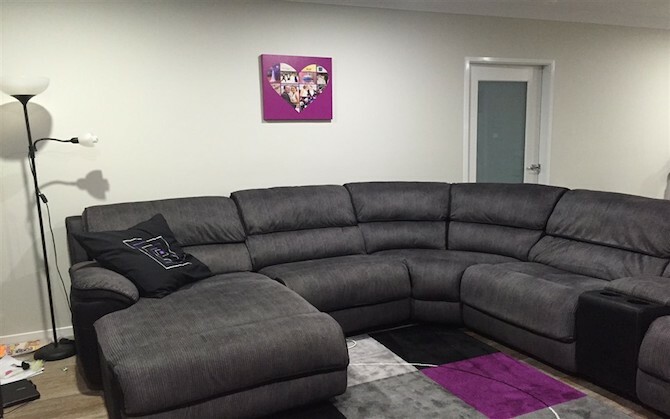 Some of our customers tell us things like “It’s so amazing! I should have printed it larger!” Go large! You won’t regret it. With this style of template, you have the opportunity to include any type of graphic you like. This means that, if you’d like to include some word art in one of the frames, you can choose any quote and word art you like. If you love to DIY, you can easily create something creative using Canva, a free tool for those who aren’t graphic designers. Otherwise, if you know a graphic designer, ask them to create a word art graphic for you. 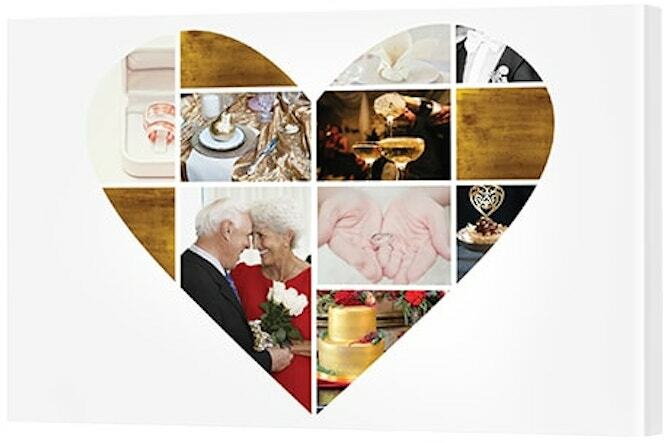 Modish collage templates are ideal for fashionable couples who love artwork that’s a little bit different from the norm. This is photo art at its very best and, with our canvas creator, you can get as creative as you like. 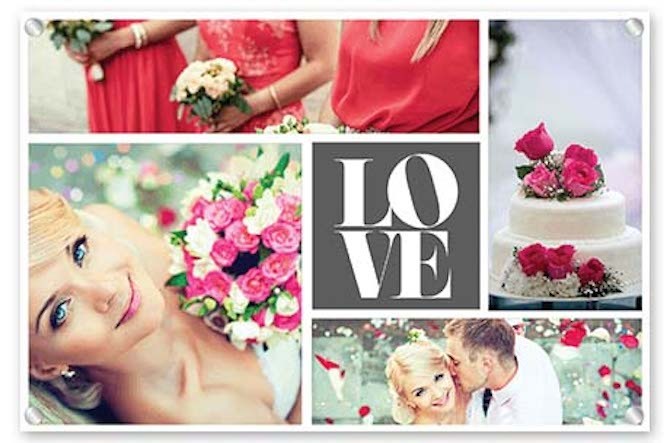 Create a collage featuring edgy, asymmetrical frames or even shapes like a heart, balloon or butterfly. 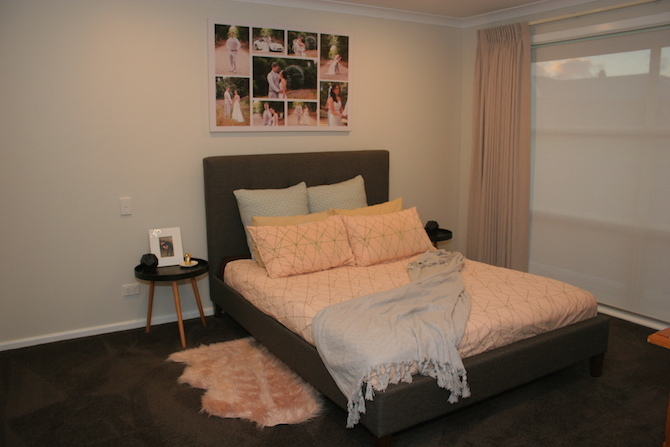 Colour the frames any shade that will suit your decor or just stick with white. 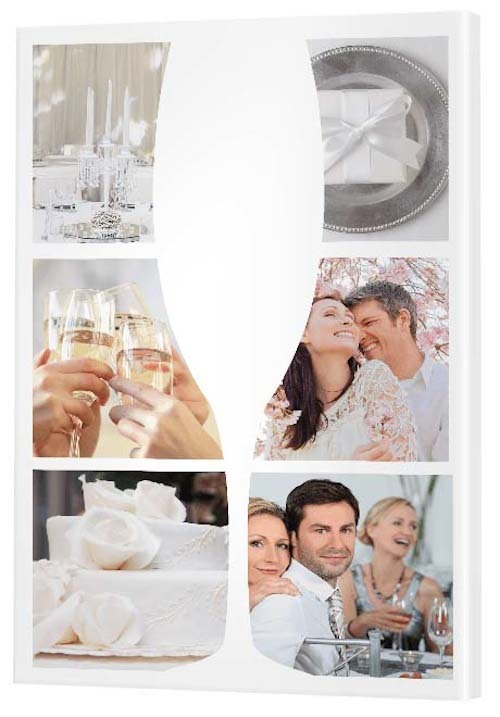 Use a wedding photo in each frame or lavish some of the frames with decorative graphics. The creative options are endless. 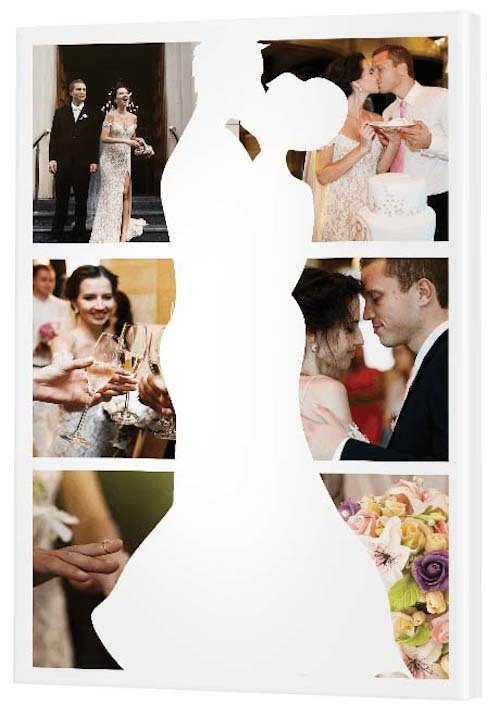 Silhouette collages will add ambience to a room, with so many magical options suitable for wedding photos. 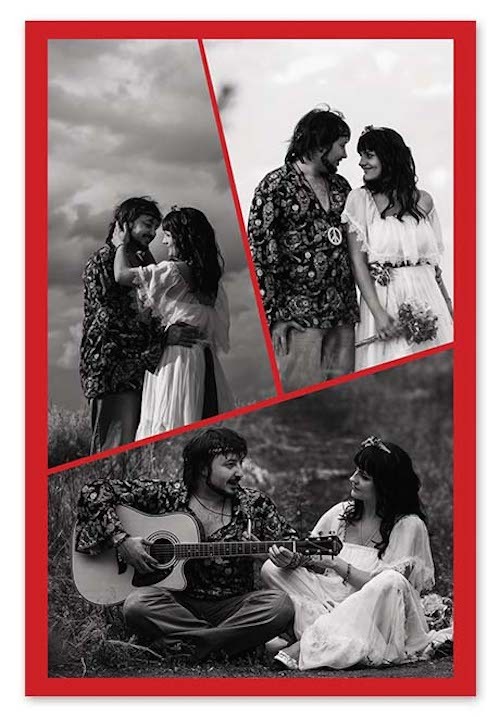 With these templates you’ll definitely feel love in the air every day of your lives together. Whether it’s celebratory champagne, a romantic couple or a classic heart, these silhouettes are designed to add cheer and fancy, bringing a room alive. 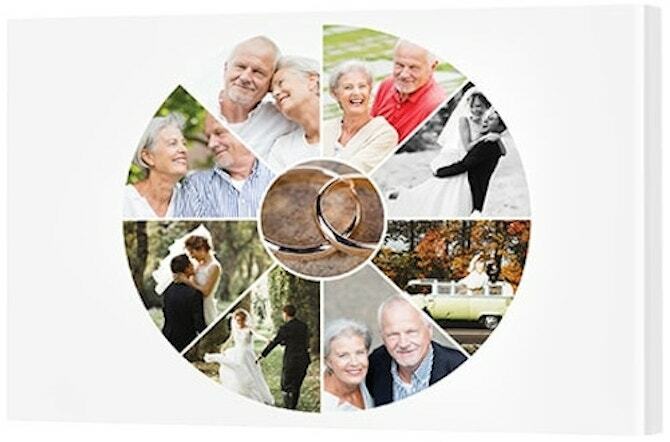 Regardless of whether you were married last year or 20 years ago, now is the time to gather together those wedding photos and transform them into something truly special. These make the ultimate anniversary or ‘just because’ gifts. 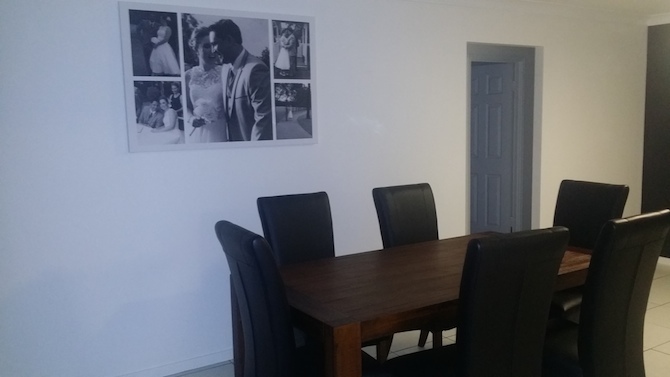 You can print these collages in small or large sizes, with smaller sizes making a great addition to the workplace or home office and the larger sizes ideal for the living room or the main bedroom. N.B. Corner mounts not included. 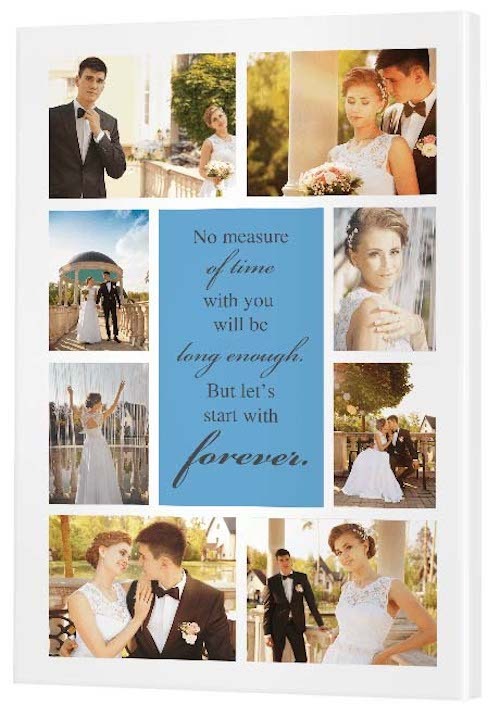 When choosing how to lay out your wedding photos onto canvas, there’s nothing better than being inspired by ‘real life’ wedding collages. Explore these collages below or visit our Real Life Inspirations page for other creative canvas ideas.